A thousand people die every week from weight-related problems in the UK.Excess weight causes heart disease, high blood pressure, high cholesterol, diabetes and a host of other life-threatening health problems. 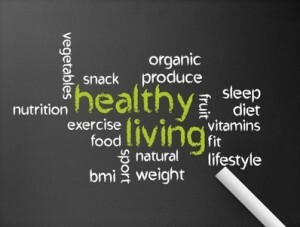 For others, their quality of life is diminished by health consequences. Apart from weight-related illnesses, the overweight generally feel less healthy, have less energy and suffer from a higher incidence of depression, stress, insomnia, back pain and many other psychological and medical problems. Recent research has linked being overweight with developing Alzheimer’s. Graham W Price, a psychologist specialising in weight loss, says in principle the solution is easy. Everyone knows that to lose weight we need to eat less, eat better and exercise more. It isn’t rocket science, he says. So why aren’t we doing it? There are numerous psychological drivers to getting stuck in the weight trap, says Price. Lack of motivation, low self-esteem, cravings, addictions, comfort eating, binge eating and excessive desires for food are just some of the drivers that cause people to overeat. Price says modern psychological and motivational techniques can resolve all these problems. He argues that a lack of trained personnel is holding back our ability to conquer the growing weight problem. He is horrified that many are resorting to surgery to resolve a problem that is perfectly resolvable by safer non-invasive means. He also questions providers in the weight loss industry who promote approaches known to be unsustainable. Their customers will almost certainly put the weight back on once the ‘treatment’ ends. A banner on the front of a women’s magazine reads “Your perfect weight in just 14 days”. Price says hopefully most people can see through such claims, but they’re still a reflection of unethical standards in the industry. Price advocates a natural, healthy approach to weight loss. He works with nutritionists who advocate the same. The simplest changes can make a difference, he says. Eating a bit less, replacing some carbs, such as bread, potato and pasta, or foods high in fat or, more importantly, sugar, with more protein and healthy vegetables…. and exercising a bit more, will start to make a difference.